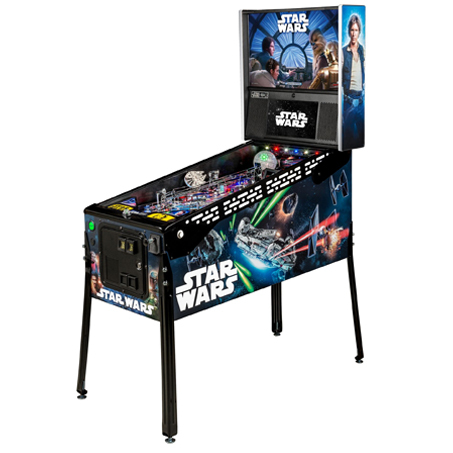 ​Star Wars pinball machines are available in Pro, Premium and Limited Edition (LE) models. 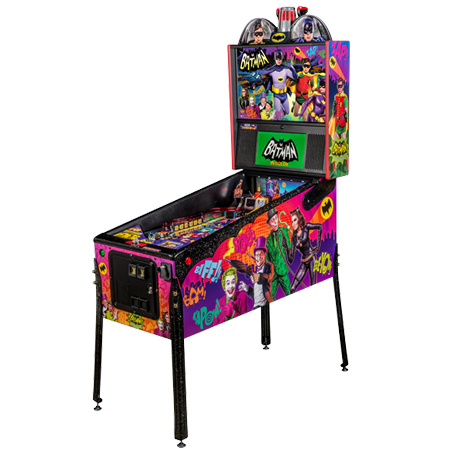 The game will immerse players in the dynamic and challenging Star Wars pinball environment as they battle to restore justice to the Galaxy. Star Wars Limited Edition machines are limited to a production run of 800 units – collectors should pick them up now, when they can. 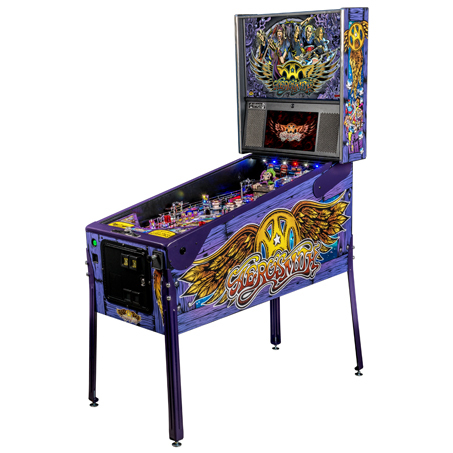 Each LE machine is designer-autographed featuring Steve Ritchie's signature, and comes with a Certificate of Authenticity signed by Gary Stern. LE machines also feature powder-coated, designer-laser-cut side armor in gloss black, and a serialized number plate. 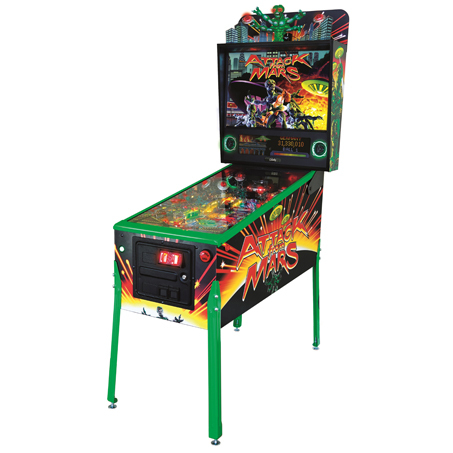 Like the Premium machines, Star Wars LEs feature 2 flippers, 2 pop-bumpers with 1 sling, 2 steel wire ramps, Tatooine Scoop target, 4 selectable game modes (Escape From Hoth, Destroy The Death Star, Escape From Tatooine, Battle Above Endor), a magnet-powered Hyperdrive ramp into the Death Star; 5 FORCE drop targets, special interactive video sequences, right drain save ball feature, and a center-mounted button for additional game interactivity.